The next morning after we surpassed the challenges of Spelunking, we woke up so early to catch the sunrise in Kiltepan Viewpoint, but unfortunately, the weather failed us. No sunrise at that time, so we just decided to skip the sunrise viewing and bound to our next destination. 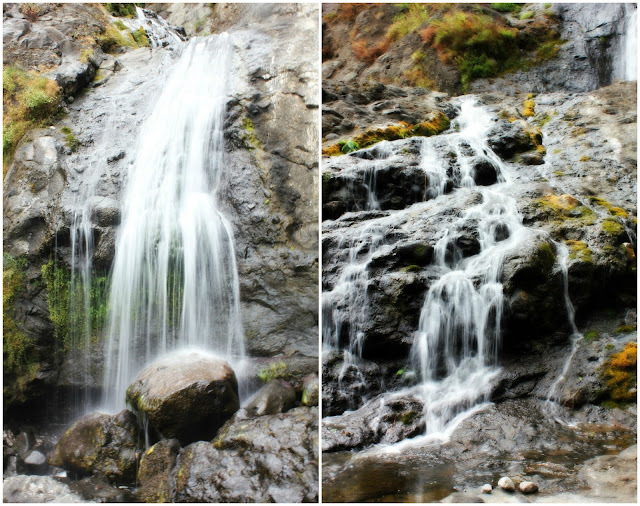 - Pongas Falls. 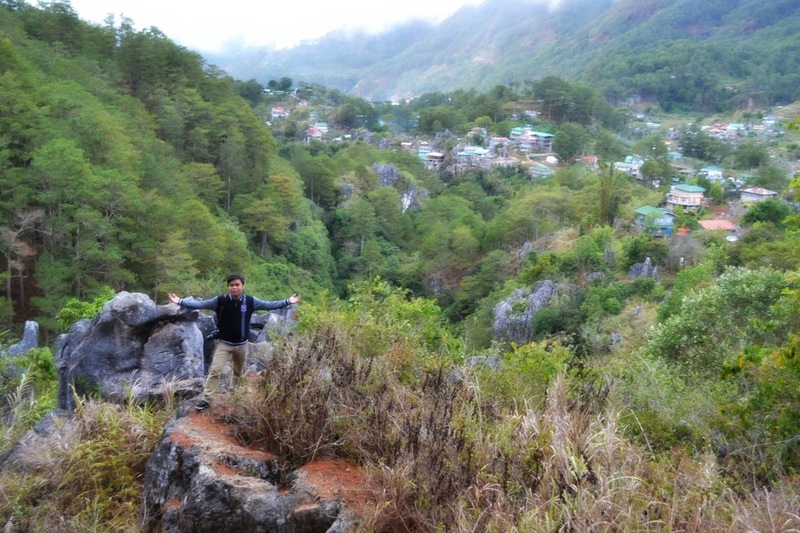 Pongas Falls is situated on the southern part of Sagada, five kilometers away from town. 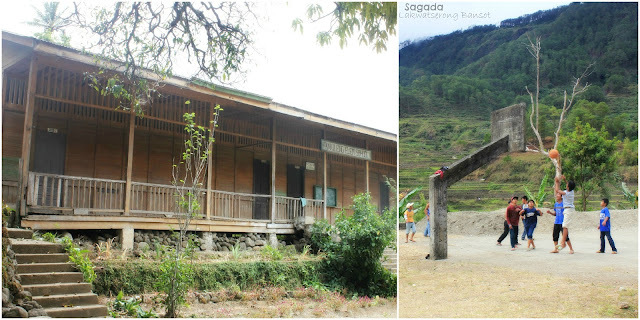 The half day tour there can also arrange at (Sagada Genuine Guide Association) SAGGAS and they will give you a tour guide and a van to rent. 600Php for the ride and another 600Php for the guide. Howkie! 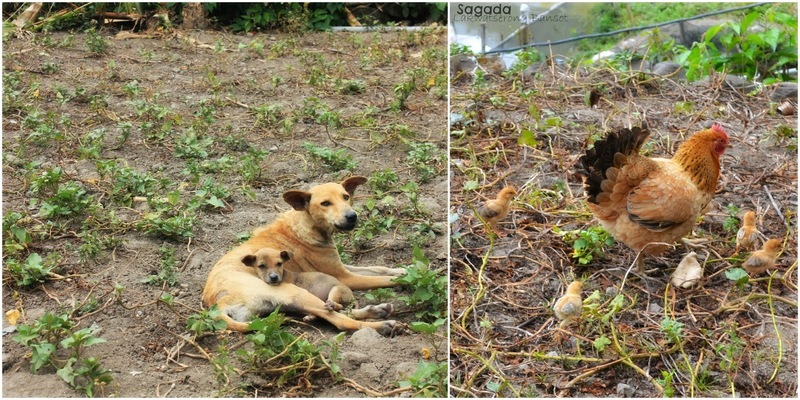 Then we started our walk going to the office of SAGGAS to arrange our adventure. 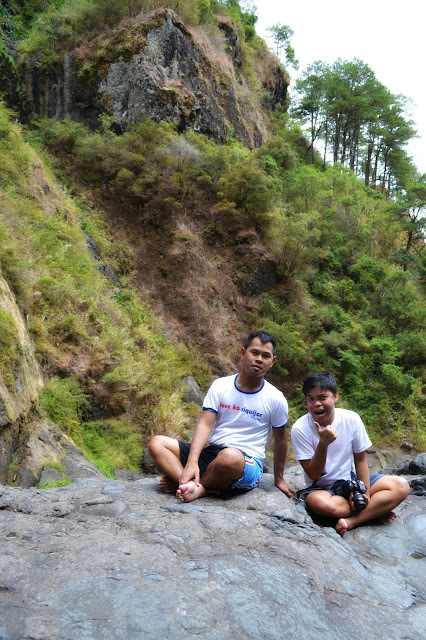 Lucky us, we saw Kuya Rad along the way (Kuya Rad was our guide during our Spelunking). We’re very lucky because Kuya Rad arranged everything for us. Hassle free na!! We took a van to Ankileng which is the jump off point to the Pongas Falls. 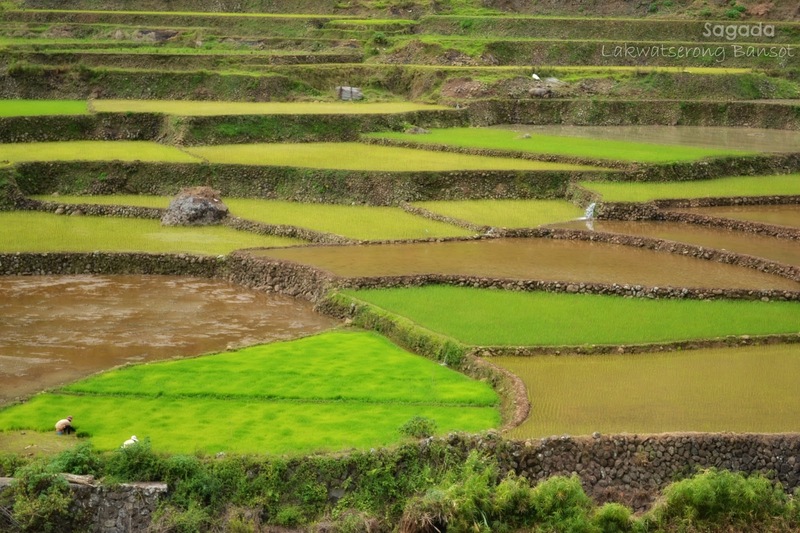 After we arrived at Ankileng, we hastily jumped out of the van and this beautiful landscape welcomed us.. This spectacular view really amazed me. 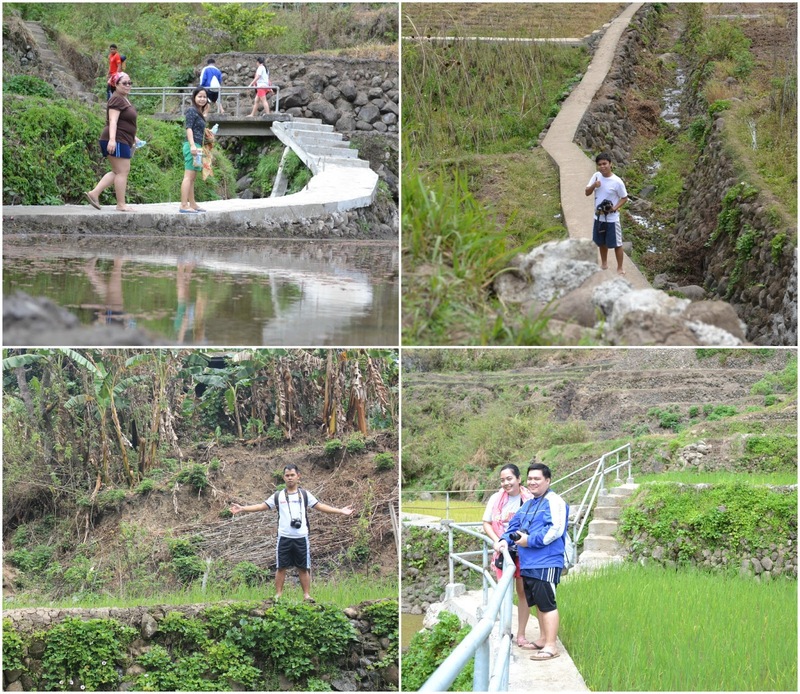 Seeing this stunning place wanted me to start our trek right away, Parang di nakakapagod maglakad dito. 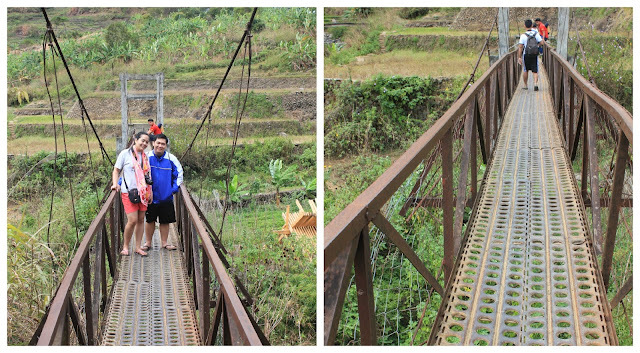 After a few minutes of our walk, we crossed a hanging bridge. Walking on this bridge was a bit scary because it creaks and it shakes, but I had fun doing it anyway, because its not like everyday you get the chance to do this, right? 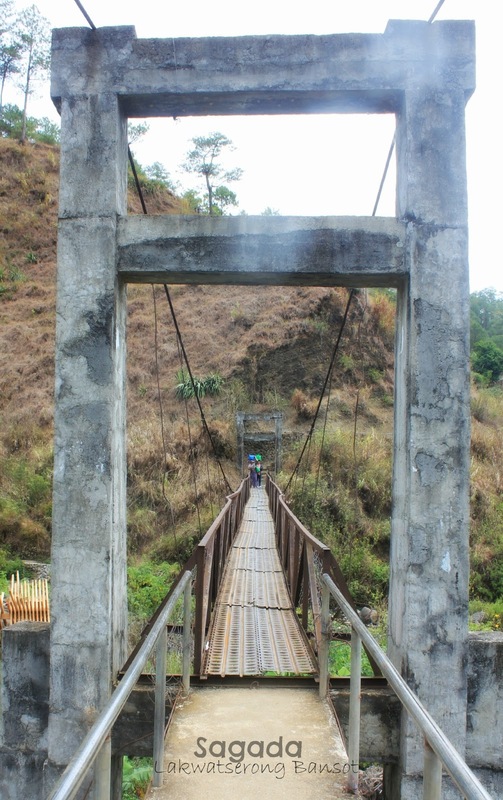 Level 1 pa lang at madali pa ang trek, at sobrang nakakaenjoy pa ang mga nakikita ko. Until we passed the village of Ankileng..
Then after more than 2 hours of our trek, we finally reached the Pongas Falls. We're very happy that after all the obstacles that we surpassed along the way, these beautiful views rewarded us. 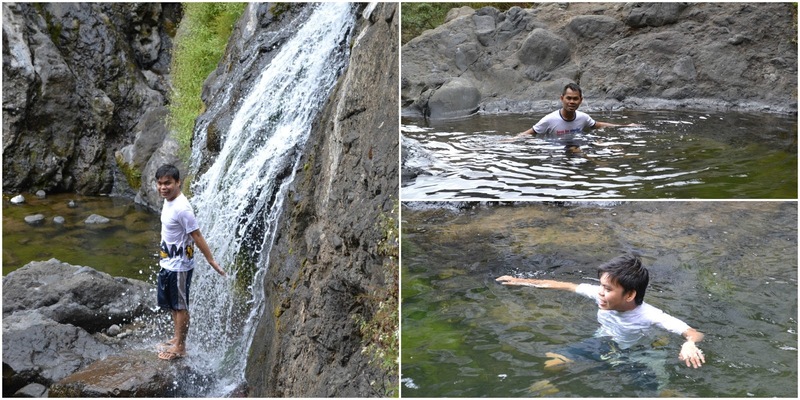 It’s very beautiful and refreshing. 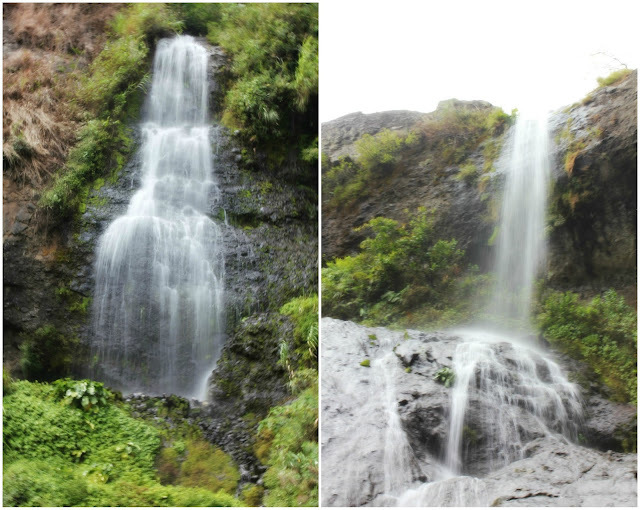 The waterfalls remains prisitine because of its relative seclusion. I guess this is the most courageous part of this adventure, because not everybody had the guts to at least try this. Taking a dip in this ice cold water. Hanglameeeeeg!! 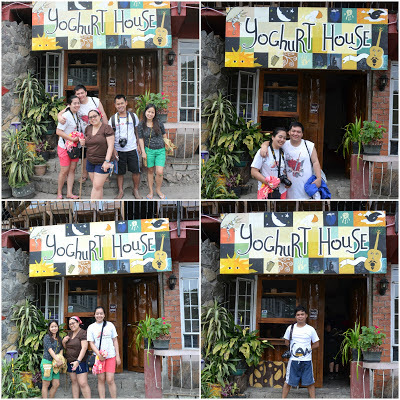 After we enjoyed the beauty of Pongas Falls, we went back to town and had a sumptuous lunch at the Yoghurt House. Yoghurt House is the most popular resto in town, I learned this place when i was googling on where-to-eat-in-sagada prior to our trip and yoghurt house was always on the list, so i was too excited to try their food. The pictures can tell how satisfied we were after that sumptuous lunch. and then we headed to our accommodation to freshen up before we proceed to our next activity. After getting some rest, we left our house and jump to our next activity. 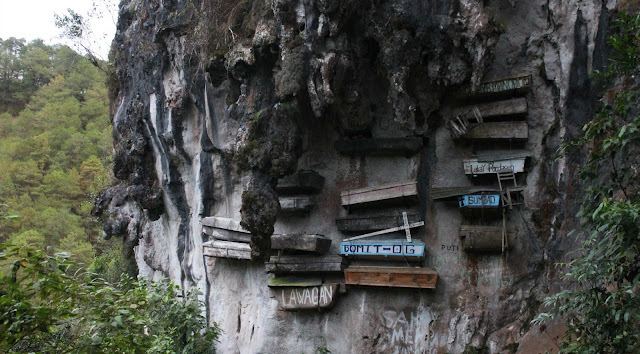 We headed to echo valley, eager to get a closer glimpse of these hanging coffins. 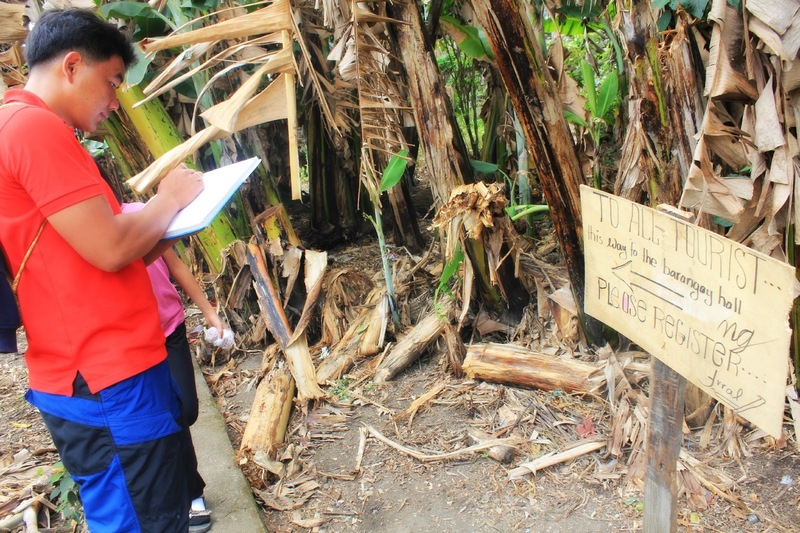 But unfortunately, we were not able to do it again because the place were crowded of students and I guess their professor was also teaching them about something related to the hanging coffins. Bad timing! This is one of the disadvantages of doing a trip during long weekend, madami ka talagang makakasabay! So we had no choice but to let this opportunity pass, we were just hoping for a good and fun bonfire dinner that night. 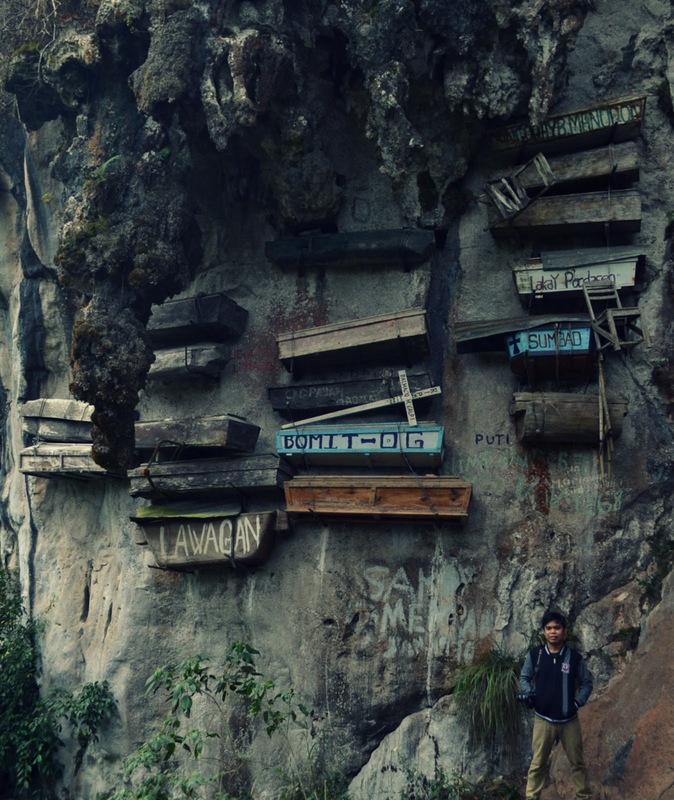 It was actually very disappointing because hanging coffins was my top reason why i was too excited to go to sagada, but for the second time, di naman natuloy. Then another bad news came after a while. Kuya Rad informed us that he had to cancel our bonfire dinner due to the bad weather. 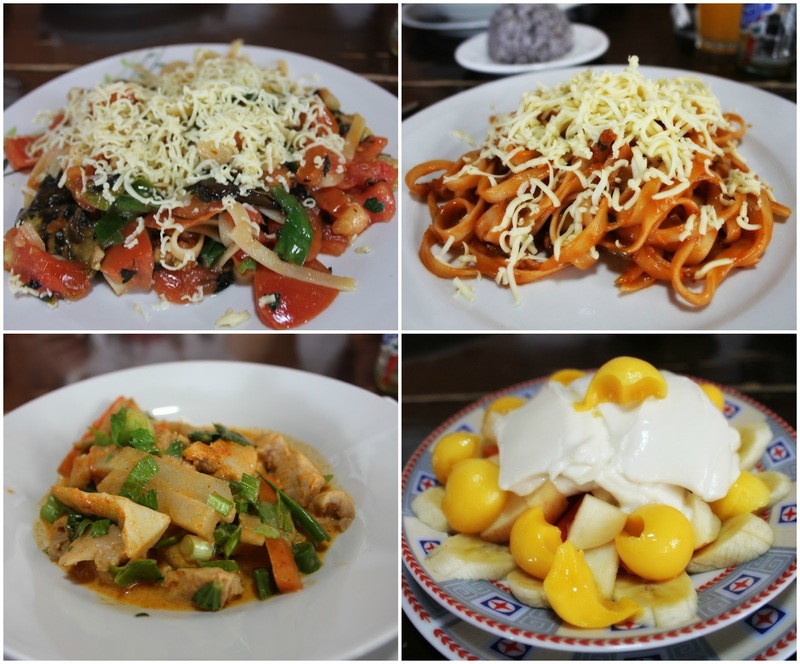 Wala na, uwi na lang kami ng bahay at dun nagdinner. Pero masaya naman at pyesta ang hinanda ng mga kasama ko. 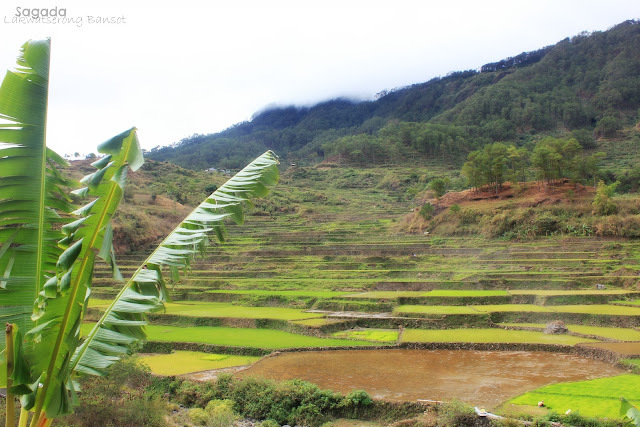 And because I was still determined to go to the hanging coffins, what happened the next day was Lyn, Ed and I woke up so early, we left our house and went to the echo valley at around 6am while other tourists still enjoying their sleep. Wala na naman sigurong sagabal sa daan ng ganung kaaga. We were right because there were no other people in the place at that time. We started our trek down hill right away, we just followed the trail until we finally reach it. Sa wakas!! One ﻿of the old customs in Sagada is they hang their tombs on a cliff instead of being placed into the ground, because they believed that the higher the body is laid, the closer the souls were to heaven, they also protecting these bodies from any disasters like floods or earthquakes. read articles or reviews, but this weblog provides quality based articles. Mas maganda sya pag nakita mo na sya ng tunay, kaya punta na kayo sir..
Go na sir, siguradong maeenjoy nyo ang sagada. I've seen some of my friend's pics when he went to Sagada. A very interesting place. Hope I can visit it someday. Thanks for visiting also my blog. Do you really want to experience my wrath? hahahaha! I'd love too be on that hanging bridge! Someday...soon ;-) Thanks for sharing. Malaking tulong ang mga info which you provided here. dapat natin maexperience ang hanging bridge, nakakatakot pero masaya!! nasa bucket list ko talaga to. Yown! siguradong mageenjoy ka sa sagada Phioxee..
uu glen, worth it lahat ng pagod kapag nakita mo na sya.. Sa susunod na may maginvite sayo, sama ka na!! Thank you sir, tara na ang gumala! !